I have it on good authority that many of those people who line up days in advance outside of “big box” retailers for Black Friday sales specials endure the wait so they can buy tens of thousand of dollars in merchandise. He is famously quoted as saying, “Transparency is well and good, but accuracy and objectivity are even better.” It turns out that one person’s transparency can be an enabler for other people to not only cross the line but feel good about it. I know - I’ve always been drawn to the counterintuitive when revealed by data, which explains my interest in a great website, EthicalSystems.org, a collaboration by more than 20 researchers, most at business schools, including Dr. Dan Ariely in Durham, North Carolina where I live. This was certainly true in my now-concluded forty-year career in visitor-centered cultural and economic development, and one reason I always employed MBWA (management by walking around). It wasn’t to monitor employees as much as to answer questions they might have, give feedback, encourage entrepreneurial thinking and help resolve any obstacles, including the need for any additional resources or support. “I have to get ‘too involved’ in the business because I’m setting the strategy. If I don’t understand the business, then I’m a poor manager and I’ve failed as a leader. It’s critical that leaders spend a lot of time where the work actually gets done—that they get into the guts of the business and see what happens there. The further down the chain you go, the easier it is to see how your strategy might not work the way you’d intended. You might even discover that the strategy itself is backwards. He manages 41,000 people. In my career I never managed more than 30 and the average was below 20, but one of the reasons I found MBWA effective was to resolve any ethical issues in real time. Ethical behavior has always been important to community destination marketing. In fact, the association of community marketing organizations (DMOs)was organized 100 years ago primarily to create and embed a code of ethical behavior for members. Up until a decade ago, every employee of each member organization was required to sign and return this code of behavior. This process seems to have fallen through the cracks during a leadership change or worse, vetoed by those walking too close to the line. However, at the organization where I worked up until retirement, we deepened the code and continued the practice of re-signing it each year. The organization's governing board adopted a similar practice for each newly appointed member. It would be a good idea on the 100th anniversary for Destination Marketing Association International to update that code and to reinstitute having the staffs of member organizations sign it annually. As a template, it could use this best practice example. Research shows that a code of ethics is more effective if signatures are required and especially if the signature is at the very top of the document rather than at the end, which is more customary. During the latter stages of my career there were persistent rumors within the development sector of another community with which I was familiar that one of my peers in economic development was taking money off the books from a special interest. I never gave it credence because I knew that money was far from being the primary motivation for this peer, but a soon-to-be published study by Harvard researchers explains why “reputational risk” may be the best way to ensure ethical behavior, especially among very “successful, higher-status” executives. The more successful a person becomes and the higher they climb in the social hierarchy of an organization or a community, the more likely it becomes that they will be tempted to engage in deception to maintain the appearance of success. This is why a code of ethics, especially in smaller organizations, must be backed up by a strict separation of accounting and performance reporting controls and board officer review of the CEO’s expense account. Also essential is that CEO performance evaluations involve each member of the entire board through a mechanism that provides anonymity and eliminates politics. And if need be an examination of personal bank accounts if questions of objectivity are ever raised. Much of what we call corruption is perfectly legal, including Black Friday. It is impossible to turn around in Durham, North Carolina where I live without admiring the 1930s handiwork of the Civilian Conservation Corps (CCC) including bridges, roads and trails through Duke Forest and the Adirondack-like forestry school constructed in the G.W. Hill Demonstration Forest. But Durham’s new Trees Across Durham multi-agency attempt to re-jumpstart reforestation needs only to look back 25 years or so for another related idea whose time may have finally come, the Durham Service Corps. In the late 1920s, Durham leaders had facilitated these “teaching” forests, now totaling nearly 10,000 acres taken together. One is at Duke University and another is used by the forestry school established in 1929 at North Carolina State University a few years before President Franklin D. Roosevelt launched the CCC in 1933, a month after his inauguration. As so well documented by Dr. Neil M. Maher in his book entitled Nature’s New Deal, F.D.R. created the program by fusing together Progressive Era conservation with his experience as a Boy Scout executive seeing the transformative effects of nature on young minds. Over a nine year period, the CCC transformed the lives of 3 million Americans between the ages of 18 and 24 by putting them to work for six month stints (enrollees could re-enlist up to four times) in 5,000 camps spread across the United States, 30 in North Carolina and several in Durham. In fact, North Carolina was the first to fill its initial quotas of 7,650 for the CCC, but enrollees were spread around to mix people of different backgrounds, rural and urban, east and west, north and south. The program was genius, and included physical education and numerous other courses before and after work. It may be that part of F.D.R.’s idea for Boy Scout conservation camps came from those who had earlier proposed camping as a way to shape public spirited young Americans such as the League of Woodcraft Indians or the Sons of Daniel Boone. Or maybe he took part of the inspiration for the CCC from a speech Harvard philosopher and psychologist William James gave while a visiting professor at Stanford in 1906 then later published as an essay in 1910. I’ve never read the speech but in the essay that followed in 1910, James proposed replacing military conscription with a requirement that all youths serve a certain number of years as an army in nature. The CCC ended the year after America’s entry into WWII, but there, too, it had an impact having trained millions of soldiers in valuable skills. Many efforts have been made to replicate the CCC after the war. In 1967, the late Professor John Salmond wrote its definitive history while completing his doctorate while studying in Durham at Duke. In 1984 Durham also became home to the The Forest History Society and its incredible archives and historical photographs. While Durham was jumpstarting its official community destination marketing organization in 1989, many of the same officials including then mayor Wib Gulley, then-city council member Sandy Ogburn and then chancellor at North Carolina Central University, the late Dr. LeRoy T. Walker, were helping to launch the Durham Service Corps. Durham was one of 10 communities piloting this CCC-adaptation at the local level based on the findings of a think tank, and later written up in a 1992 Wall Street Journal article. Tom White, then an executive with the Durham Chamber and later Commissioner Ellen Reckow also played roles. All befriended me as I arrived in Durham to head up visitor centric cultural and economic development, a career from which I am now retired. The program was passionately led by Ann Baker Easley. Soon after she was joined by Harry Bruell as associate director and work project coordinator and they worked under a board co-chaired by Gulley and Walker. Clearing urban streams and storm runoff channels in partnership with the City. Painting the inside of City Water plants. Ann and Harry moved on to spend careers in similar programs. Ann founded or helped start 7 different youth and service corps programs around the nation before founding and heading both the Youth Corps Association in her native Colorado and the Volunteers for Outdoor Colorado. She also helped HistoriCorps get off the ground. Harry worked for the national CorpsNetwork and now heads up the best practice Southwest Conservation Corps. Wib went on to several terms in the State Senate and he and Sandy helped get light rail transit underway. Dr. Walker went on to head the United States Olympic Committee. Unfortunately, the Durham Service Corps then lost steam and folded a few years later as movements so often do when successors don’t seem to have the same passion or ability to tell the story of an organization. Far too many communities also get caught up in the squirrel cage process of jumping from program to program without ensuring sufficient resources, energy, passion and sustainable capacity for those they already have. Reincarnating or adapting a Durham Service Corps in tandem with Trees Across Durham planting and Keep Durham Beautiful projects etc. is well worth considering in light of a 2011 study on the effect of nature-related service corps by researchers at Texas A&M Univerity. The study compared populations of participants and non-participants, both male and female with a mean age of 21, including those no longer in school and those continuing in school, ranging from those short of a high school degree to college graduates. Results showed statistically significant increases for participants over non-participants related to community engagement, attitude toward public lands, environmental activism, teamwork, leadership and self-responsibility. Another study focused on an urban service corps and documented similar results. The CCC of the 1930s lives on nationally through the Americorps NCCC (National Civilian Community Corps.) There are five campuses instead of camps, one serving each region of the country. Enrollment is for ten months vs. six. Today’s CCC members still receive room and board, as well as uniforms and training, but they receive a living allowance of $4,000 for the ten months rather than a salary of $30 per month in the 1930s with $25 sent home to family. Today the service requirement is 1,700 hours of community service and 80 hours of independent service. 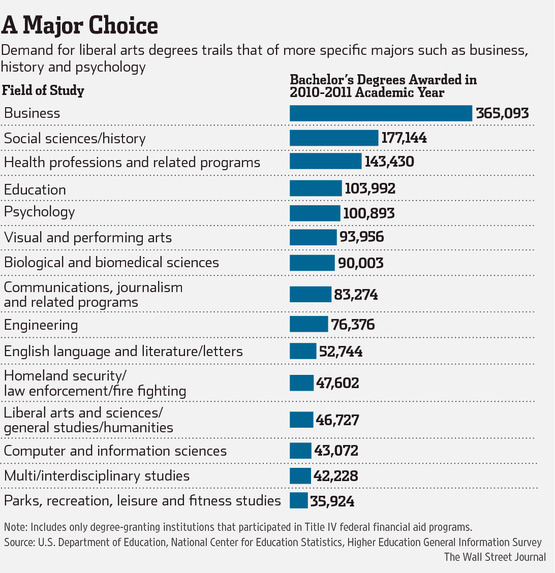 There is also a $5,550 tuition award when all is said and done. Many communities have service corps but they start at age 16. Some even have middle school programs. They all focus on the lessons that can be learned from nature, including urban forest. It seems like an idea worth revisiting in Durham as well. Maybe Harry and Ann would be willing to advise us on how to get back on track along with utilizing resources available from The CorpsNetwork. But as also applies to the latest urban forestry initiative, only if we make it sustainable this time. I have always wondered about something, and I’m afraid the answer is again, no. 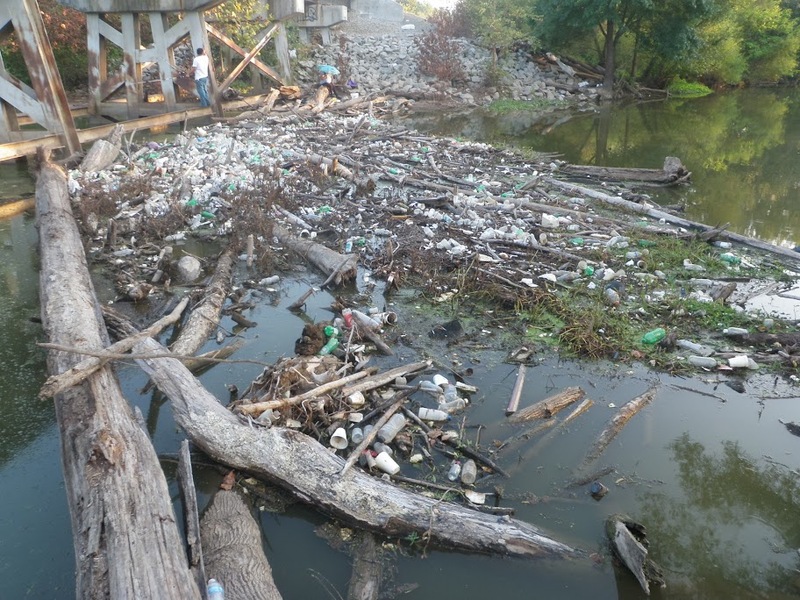 Each year, residents in Durham, North Carolina, where I live, participate in NC Big Sweep. This program dates back to 1987 when it became the nation’s first statewide clean up of waterways. This year 411 volunteers participated here, five fewer than last year. Over the course of 15 miles of waterways on 23 different sites in Durham, these volunteers picked up 436 bags of debris, about 18% of which was recyclable. There was less mileage covered this year, but twice the number of bags of trash retrieved. My question this year, as it has been for the last four, is “will forensics be conducted on any of this material to identify perpetrators or at the very least understand some patterns that will inform strategies to curb the junking of these waterways in the future? Things such as addresses, serial numbers, manufactures, as well as GPS tagging can help trace this litter back to perpetrators or close enough to send a signal that they aren’t invisible. The information could also be used to help position better lighting and even portable, wireless cameras to help with future identification. Whenever I ask, both body language and comments from those involved portray a sense of futility that I am certain is common to other counties. Kelling, a professor emeritus at Rutgers and the late James. Q. Wilson coined the term “Broken Windows” in 1982 that has been largely responsible for the dramatic reduction in crime in many cities. It was based on the success they had in rejuvenating the New York Subway System by focusing on “appearance” as an overarching strategy. Essentially, it involves eliminating minor crimes as a means to reduce major crime. Some police departments are dusting it off again as a way to reduce traffic accidents including those involving bicycles. But it is astonishing to me how stubbornly resistant other agencies seem about adapting this now well-proven approach to the reduction of litter including the intentional pollution of waterways. A friend told me recently that the parks and recreation department where I live has given up on repairing rest room fixtures because they will just be vandalized again. Another indicated that solid waste is reluctant to put blue recycling barrels (with two holes in the lid) in parks because they think people will put trash in them instead. This makes little sense. About 10% of the stuff people put in recycling carts is trash anyway but recyclers have long ago figured out that it is easier to remove it than to let up on the effort to educate people to recycle. The sense of futility that underlines this lack of determination to overcome the problems in parks is understandable at some level but infuriating at another. We’re just going to give up and retreat or ask volunteers to slog out once a year and clean up a few miles? The answer is counterintuitive as it was for reducing major crime, but they both start with forensics to understand both the problem and the solution. Kelling and Wilson were able to turn around the subway problem by persuading the authority that ran the system to focus on two things, a adopting zero tolerance for graffiti on cars and cracking down on people jumping turnstiles. They did that by forensics. It turned out the people jumping turnstiles had outstanding warrants. I’ll bet there will be a linkage between criminal pollution of waterways and more serious crime here too. It is worth a try, even if just to give hope and encouragement to volunteers trying to put a small dent in the mess along waterways. People assume that I readily recommend calling 911 regarding panhandlers because I got so fed up with the issue during my now concluded career in community economic development but let me tell you why they are wrong. About 6.7% of the U.S. adult population experiences major depression, meaning it lasts two weeks or more. But 2% have what is called severe depression. The percentage is higher among young people, women and whites, lower among blacks, but only half get treatment and for 1-in-5, the treatment is minimally adequate according to researchers. About 16.5% of Americans experience major depression during a their lifetimes or about 1-in-6 people. When severe, it is also known as clinical depression. Sports Illustrated featured a touching interview with Andre Dawkins, a Duke Basketball player who was forced to miss an entire season for treatment for severe depression. Dawkins had an incredible support network including his parents, but to his credit, he also sought professional help, and Duke has some of the best in the world. He could have ended up homeless or worse. It happens to many who are mentally ill.
People struggle to distinguish panhandling from being homeless. Surveys show that while more than 80% of panhandlers are homeless, only 19% of the the homeless resort to panhandling. The proportion of panhandlers suffering depression is six times the general population. However, 30% don’t have a disability, 15% work and 4% admit to participating in panhandling rings (most likely underreported because of pressure not to.) More than enough public services are available so that no one has an excuse to panhandle. In Durham, North Carolina where I live, several hundred city and university police officers, deputy sheriffs, firefighters and EMS personnel have undergone special schooling to be part of a Crisis Intervention Team to assess mental illness and other issues. More are being trained each year. The training is sufficient for CIT members to be available wherever needed to de-escalate situations, make an assessment similar to triage, and get people where they need to go for help, be it substance abuse treatment, mental health or social services. The concept originated in Memphis Tennessee in 1988 but today the FBI reports that CIT teams exist in 2500 law enforcement and related agencies nationwide. Unfortunately their work is impeded by members of the general public who won’t cooperate and worse, enable panhandling. In my experience though, far too many fail to inform this impulse with facts and realities about panhandling. Mental illness is not a crime but in my experience it can greatly impair good judgment. CIT assessments will quickly separate panhandlers involved in theft from those unaware of the many services available, and from those in serious need for intervention related to mental illness or substance abuse. Handing over money or a turkey leg to panhandlers in the end is not the answer and only perpetuates the problem while delaying the solution. For many of us though, having learned the complexity and ambiguity of the true panhandling narrative and knowing the CIT is better equipped to handle these situations, we call 911 rather than risk being robbed of our humanity. A promise of the Affordable Care Act is better treatment for mental illness including variations suffered by nearly 7-in-10 panhandlers. It may mean a better rehabilitation for the nearly 17% in prisons who suffer from serious mental illnesses. A 2010 study found that currently we have more mentally ill people in prisons than we do in hospitals, approaching the levels in 1840 before mental health reformers such as Dorothea Dix changed the paradigm. As long ago as 1939, researchers postulated that the population of psychiatric hospitals and prisons were inversely correlated. As one decreases, the other increases, a lesson we have relearned the hard way over the last fifty years and as recently as the attempted murder-suicide of a U.S. Senator. Note: For my resource on panhandling vs. homelessness I have relied on a survey conducted a few years ago in Clark County, Nevada. Ninth Street in Durham, North Carolina is a district that bookends the Duke East Campus on one side with the Brightleaf Historic District on the other. Together they serve as more linear “main drags” do at other university towns, but they are so much more. Try as they may, local governments and master planners, including developers, can’t recreate these districts. But without a “localist” policy agenda that protects these habitats for local, independent businesses they can, however, unwittingly help destroy them. Those in my former field of visitor-centric economic and cultural development must walk a narrow line when promoting these fragile districts as key parts of a community’s personality and appeal. This promotion also draws the attention of chain-reliant developers who hope, in an all too often fatal attraction, seek to cash in on the success of these districts, such as three are doing now along Ninth Street, by adding a hotel, several chain restaurants and a supermarket. To their credit, the new developments have made a special and very savvy effort to pick up the design personality of Ninth Street, including the remnant of the historic textile mill at its center and for which the district was born. Surrounding neighborhoods, merchants and university leaders worked with Durham City-County Planning to create a Ninth Street Plan. A few weeks ago the City Council approved tax increment (or self) financing for a million dollars of improvements, hopefully including period lighting and removal of telephone poles along the district. But mostly these deal with appearance, the hardware of districts. Their survival relies even more on the software side including programming, a healthy ratio of local, independent businesses to chains. In 1991, just 25 months after I was recruited here to jump-start Durham community’s destination marketing organization, I clipped a column (pre-Internet) by Dennis Rogers, a veteran columnist and editorial writer for the newspaper over in Raleigh, a rival metro area east and south of Durham with shared ownership of an airport located midway between. Rogers, who retired two years before I did grew up further “down east” which is what we call the coastal plain of North Carolina. Although, we never met, his six years on the road after retirement gave me inspiration for my many cross country trips once I did. Rogers could sense that Franklin Street in Chapel Hill, a college town that lies within the metro area centered around Durham was inalterably changing because a trendy Gap clothing store was due to open there the following year. A decade later the chain store was gone but the damage to the Franklin Street ecosystem was done and now after another decade of observations by experts and studies by consultants leaders there have yet to figure out how to restore it. By definition, being organic can’t really be planned when it comes to districts. The harder some try, the more apparent the distinction becomes. Only time will tell if the developments along Ninth Street will do the same to the small, locally-owned and independent businesses there. I hope not. In Durham, we’re all hoping not, none more so than the developers. But instead of just congratulating ourselves on hopefully “dodging a bullet,” officials in Durham would be well advised to aggressively pursue a more proactive and comprehensive “localist policy agenda” before it is too late. Number 3 on her list of 7 recommendations is to “adopt planning policies that create great habitat for local businesses.” San Francisco is cited as a best practice because it carefully safeguards a mix of chain or what are called “formula stores” in that city’s unique districts such as Ninth Street is for Durham. Think of it as being similar to limiting the over concentration of liquor licenses and convenience stores. In some SF districts chains are prohibited entirely. In most cases, the ordinance just makes sure other businesses and residents are notified and have a voice in, or as activists did in Durham, an opportunity to shape approvals. San Francisco has maintained a far more healthy ratio of independents to chains than other cities, yet in the first four years of the ordinance of the 37 applications received, 23 were approved and only six were withdrawn for lack of support. The process merely sensitizes developers to a healthy mix of both local, independent businesses and formulas. During my few months in San Francisco in the late 1980s, I lived in the Marina District (which was hit hard by the earthquake that occurred during the World Series a few months after I had resettled in Durham.) It was only one of many unique and indigenous districts I frequented, each with a different personality and mix. Durham’s hands may currently be tied by the Republican-controlled State General Assembly that seems bent on restricting innovation in cities, towns and counties by prohibiting them from doing anything not sanctioned by the state. This is, in effect, a reversal of the claim that party uses to promote innovation among the states as an alternative to top-down policies from the federal government. Durham can appeal to an organization called Civic Economics to become one of a number of cities across the nation that are documenting the impact of and threats to local independent businesses such as this analysis for Grand Rapids, a community in Durham’s peer group. Better data would help Durham know where it falls on the group’s “Indie Index.” Currently, the four-county MSA for which Durham is a center ranks as “chain-oriented” and far below the national average for the proportion of local, independent businesses. The existence of unique districts such as Ninth Street is correlated to being appealing to talent clusters such as the creative class and subsequently to business expansions and relocations that pursue them. But there is so much more at stake. Nearly 70% of the US economy is related to consumption. An in-depth analysis of the economy of the Province of British Columbia released earlier this year by Civic Economics showed that independent retailers and restaurants recirculate 2.6 times as much revenue into a local economy as chain competitors. “A shift of just 10% of the market there from chains to independents would produce 31,000 jobs paying $940 million in wages in BC workers.” Maybe Governor McCrory would be well advised to jump on having a similar analysis performed for North Carolina. This is where people use mental shortcuts or heuristics to make decisions that dismiss or underestimate a risk just because they haven’t experienced it or detected something such as losing an ecosystem of locally owned and independent businesses. Or maybe it is because for decades, traditional supply-side economic developers viewed “commercial” as a byproduct rather than as the core element it is to demand-side economic developers such as I was. A flashback on this, America Recycles Day, has me wondering if recycling may offer a possibility for the eventual home of a full-fledged Museum of Durham History, once it moves beyond the current avatar. On the way back to the airport, I asked if we could stop a few blocks west of the Square to see what was the late Bill Kimpton’s first boutique hotel, the Clarion Bedford, which six months earlier had launched a movement that is still revolutionizing lodging today. Bill created a collection of very distinct properties, each with its own personality and its own chef-driven restaurant. The Clarion had been a hotel owned by Lord Wedgewood (China) but essentially Bill took the idea of adaptively reusing old buildings to a new level, which is a form of recycling. Union Square was originally just a park developed in the 1850s on the site of a huge sand dune. But after the earthquake of 1906 there was talk of turning it into a parking lot, which then morphed into excavating an underground parking deck below the park and plaza, a form of recycling. That idea didn’t win over voters until the late 1930s after San Franciscans had bet their homes to finance the Golden Gate Bridge. When I visited, just as the 1980s got ready to economically boom, Union Square was being surrounded by high-end luxury stores. A luxury hotel, now rebranded a J.W. Marriott, was erected by John Portman seven years after my visit, midway between the Square and the Kimpton’s Clarion Bedford. That it marked the end of one era and the beginning of another was emerging during a stint there during a several months between gigs in my field of community marketing. Portman had started his career in the 1960s by ingeniously making adaptive reuse (a form of recycling) of a parking deck in Atlanta to create a Merchandise Mart. In the 1970s and 1980s he made his name in hotels during the “brass and glass” era. First it was by setting a new standard with the design of Hyatt Regencies and then in the 1980s, Marriott Marquis’, one of which kick started adaptive reuse of Times Square in New York while, regretfully, demolishing five historic theaters in the process. Emerging out of controversy, the hotel was ultimately required to incorporate a new theater on the third floor. It is clear in hindsight that the 1980s were bookended by the beginning of the boutique movement and the end of the era of huge atrium lobbies and rooftop restaurants. Lodging began a transition, which is still underway, to Kimpton’s infinitely more distinctive and genuine community-connected approach now being emulated by chains. Parking decks have evolved too. Long viewed as uninspiring if not downright ugly necessities, many today are hidden inside retail and residential complexes or wrapped in disguise by developments like hotels or facades. But old and new public decks are now are being adapted to feature retail or or restaurants or cultural facilities such as museums and galleries on the ground floor with rooftop residential and public spaces. There is no reason a future new or renovated deck in Durham, North Carolina where I live can’t incorporate, on the ground floor, the 20,000 to 30,000 square feet typically needed by a local community history museum, which come to think of it is itself a form of recycling. A good example is the State Street deck being built by local government in Sarasota, Florida as part of an agreement with a developer and rendered in the image in this blog. A big part of getting institutions and individuals to recycle is a behavior called “choice architecture” in the book Nudge: Improving Decisions About Health, Wealth, and Happiness, written by Dr. Richard H. Thaler, a behavioral economics researcher at the University of Chicago and Cass Sunstein a professor of law at Harvard. Getting people to recycle or adaptively reuse involves changing defaults. One example is called “reverse recycling” which means switching up trash receptacles so trash goes in the little saddle bags once meant for recyclables and recyclables go in the much larger basket usually used for garbage. A few years ago, I persuaded our sanitation department in Durham to replace my broken trash cart with a much smaller one since I was rarely filling the larger one after the city distributed much larger roll out carts for recycling. Persistence paid off but I realized the department was stuck with the huge cart being the default. But there is evidence that if the city gave every one the choice of a smaller cart along with a reduced fee, people would switch defaults and think recycling first and garbage second. Here is a Nudge blog post showing how changing that ratio works and explaining why. Studies show the same is true of grocery shopping carts. Researchers at New Mexico State University found that people made healthier choices about food when carts were marked with tape showing where to put fruits and vegetables. I love the smaller carts at Kroger and Food Lion but there are only a handful available, and usually none at Harris Teeter where I shop. It is probably not coincidence that the smaller carts are the default at the more sustainability-focused Whole Foods in Durham. The second call to action in the recycling slogan is “reduce.” I bet the choices would be healthier if all stores made the smaller carts the default and the larger carts the exception. Remember when we used to order paper checks, there was always a page at the beginning of each booklet confirming your address? Well, I just realized that my mom collected those over the years along with return addresses clipped from letters, giving me a personal history of all of the houses I’ve lived in since birth. What a valuable gift. Drilling down on Google Maps, it has given me an snapshot of each of those addresses as they appear today including the ability to preserve snippets as photographs for those I didn’t have. One dwelling no longer exists, but this has given me the ability to not only fill in some of my personal history but my daughter’s, showing her where her mom and I first lived, where she came home from the hospital, where she later came to visit me during law school, and where she used to visit her grandparents and sail at the lake. What a gift my mom has given me. The house shown in this blog is the ancestral Idaho ranch house to which my parents first brought me home after birth and where I spent my early years. It is also where my dad was born. It is a very modest log house to which my grandparents added siding for insulation. It is the house where my parents first lived when my dad returned from WWII to that Yellowstone-Teton nook. At that time my grandparents moved further down the Henry’s Fork to Saint Anthony in the southern part of Fremont County. They had purchased additional land for the ranch a few years earlier, and took the house situated on that side and literally moved it 13 miles to that town about half way to Rexburg. My grandparents were obviously consummate recyclers. Many ranchers are. I remember when my parents paid $10,000 dollars to erect that equipment shed in the background. It was built from scratch but modeled on the Quonset Huts my dad saw during service with the 35th Tank Battalion. I remember learning to play football in the front yard and when an old buggy I found abandoned in a grove of trees was pulled up next to the house as a flower planter until it finally disintegrated. A front gate entrance has been added to the one already coming in after the bend in the road near the equipment shed, forming a u-shaped drive. The front porch and chimneys are gone and the back porch has been moved along the side and maybe the entrance as well. Two old woodsheds (literally filled with split wood that had once been used to fuel the kitchen stove and fireplace) are long gone, now just compost feeding a tree line shielding the house from blizzards. By the time I was born, the stove was electric and the heating fuel was oil, but the sheds were places where as a pre-schooler I would bravely confront wood chucks, backed up by huge farm cats and subsequently Mickey, a border collie puppy my grandfather got from Basque sheepherders who stopped by each year. Studies show that much of what we call memory is subconscious, out of range of recall. Think of it like the NSA scooping up millions of phone, emails and text conversations and data banking them for study if needed to prevent acts of terror. According to Harvard researcher Dr. Daniel Gilbert in his book and blog entitled Stumbling on Happiness, our memory doesn’t actually retrieve information. Memory is rewoven or fabricated from the bits of data scooped up by our personal NSA. Time compresses, so what we can recall is often rewoven with current information which is why writing Bull City Mutterings, I always research things I recall to verify my memories. A researcher named H.F. Spitzer conducted a famous study of recall from reading textbooks in 1939. He found that subjects remembered 17% of what was read which led to development of various learning techniques such as spaced repetition and testing. Of course, we don’t study in order to recall as much as to learn how to think critically, including learning an architecture for making choices. We can always look up what details we have forgotten. Relying on memory alone can be tricky. All of that is to say that I marvel at how two technologies, one discarded,such as checking address confirmation slips.and the other cutting edge such as GIS can help me reweave memories of both joy and pain. It has always seemed unfair for me to answer that question, not because I have been retired for four years, but because my career spanned “start-ups” in three very different parts of the country and in reflection, each time I did it very differently. It wasn’t because I was a visionary, but I’ve always been somewhat entrepreneurial. Steve Tobak wrote this week from Silicon Valley that having grand visions (or delusions) is one of the 7 great things entrepreneurs don’t do. The “shoe” also “fits” with two of Tobak’s other entrepreneurial traits - I didn’t do it for the money and I didn’t try to be what I am not. To me the term “visionary” is suspect because it gets sullied when bestowed by special interests to schmooze someone who goes their way. But whenever that label is applied to me now in retirement, I find myself looking back to unwrap what really happened. Maybe the answer can help people just starting careers. Not only is the personality of each community different, especially the three I represented, but each one faces a unique set or mix of barriers, and in essence, my former field of community marketing is about lowering barriers. 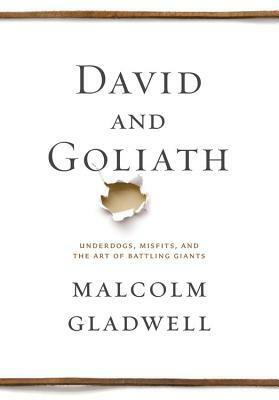 When I reflect back on what some people credit as insight, I see that each new approach I took during a start-up was really more about one of the themes Malcolm Gladwell writes about in his new book released last month entitled David and Goliath: Underdogs, Misfits, and the Art of Battling Giants. For example, I am often credited with first seeing that the “region” contrived to reference communities including Durham, North Carolina where I finished my career many years ago, was very different than those centered around just one dominant community. It is true that I was the first to note that distinction and that being polycentric was actually an advantage. This was to the consternation of some media outlets which misconstrued it as a “centered” model that represented many more hundreds of millions of dollars in advertising revenue. But how this came to me involves no stroke of brilliance. I just made a connection. Actually, the late Rick Kasper who was publisher of the Durham Herald Sun was the one who took my crude diagrams and examples and made them into a chart. He used to describe it to a regional conference invoking a room of nodding heads. Ted Abernathy, who for a time headed economic development in Orange County and then Durham, should be credited with applying the terminology “polycentric vs. centric” regions to describe the distinction. Doing things differently is part of innovation—at least at the margins—and innovation is about making connections. At the time I happened to be in the process of evaluating office and marketing technology for Durham’s new community destination marketing organization. Because most organizations of this type and larger were still stuck using only stand-alone desktop computers—if any—and then primarily only for word processing, it would have been easy to replicate what we used in Anchorage, Alaska when I left. It already enabled a competitive advantage in productivity. There, in the early 1980s, we had moved to variations of a main-frame computer, first with the CADO system for accounting and then later with the IBM System 36 where I got a taste of what I would soon know as networking when it became viable. This technology had been used by universities since the 1960s and by large corporations beginning with Chase Manhattan Bank in 1977. But innovations in the mid-1980s began to make it feasible for smaller organizations as well. It turned out to be more than just leapfrogging when this idea of each person having a terminal that works as a node along a network to share files and collaborate via email turned out to be the same concept behind the Internet which was opened to the public two years later in 1991. A favorite saying of mine is that such an advantage provides only a “20 second head start.” Adopting an internal local area network in 1989 gave the Durham start-up one of several immediate advantages as well as an understanding of the power of the World Wide Web when it rolled out in 1994, transforming community marketing. Still, the path has been clearly marked since the early 1980s when the first IBM PC appeared in storefronts. While IT professionals were explaining the concept of a “local area network” to me is when I began to gradually make the connection to a more accurate description of the regional setting surrounding Durham. Rather than being main framed to any one dominant community at the center, Durham and other communities in the region including Raleigh were unique nodes on a network. In fact, Durham was also a node in many other regions as each involving a different set of communities, e.g. communities along I-85, communities with Minor League baseball teams, communities with acclaimed private universities, communities with research parks, communities with organic personalities, etc. If you want some other examples in the past, present and future about the advantages of networks vs. main frames, then read a book released last year by Steven Johnson entitled Future Perfect. He begins with a story about why German railroads outperformed French railroads in the 1800s. The reason the connection I took from the IT example was so useful is that it was obvious from surveys after I arrived that in spite of being hammered by news outlets to think like a region centered around Raleigh, it simply wasn’t working. Only 1-in-10 people viewed the region that way while nearly 8-in-10 of the people living in Triangle communities preferred to characterize where they lived by a specific city, town or county, while the rest thought in terms of neighborhoods. Surveys showed that even people living in Wake County objected to the term “greater” Raleigh. This was important because to promote Durham—or actually to promote anything—requires creating “divergence,” the second fundamental principal of naturalist Charles Darwin’s theory of evolution. A few months before I retired from community destination marketing, Al and Laura Ries wrote an excellent book about “divergence” entitled The Origin of Brands. Until I read that book, I probably used terms such as differentiation when I really meant divergence. Our challenge in Durham’s marketing arm was to find ways for Durham to diverge and emerge from the shadows of more established destinations while at the same time preserving its connections to neighboring communities. Of course I had good mentors, read widely and was fortunate to have proclivities such as critical thinking, as well as having been fortunate enough to be engaged by communities with a deep sense of place. If I were to do it all over again—and I have absolutely no inclination to do so—I wouldn’t change a thing…and I would change everything. The drive to do things differently.